Toronto's Roncesvalles area is home to some of the city's most exciting and inspiring galleries and shops. There is a creative, artisan spirit to businesses like Blacksmith Cycle and restaurants like Branca which gives the neighbourhood its idiosyncratic cool. Two great exhibitions currently on view on Morrow Avenue should make for a nice afternoon stroll. Come on, the weather's not that bad these days! Described as abstract streetscapes of walks taken through New York City, these canvases by Brooklyn-based Heller positively hum with energy. 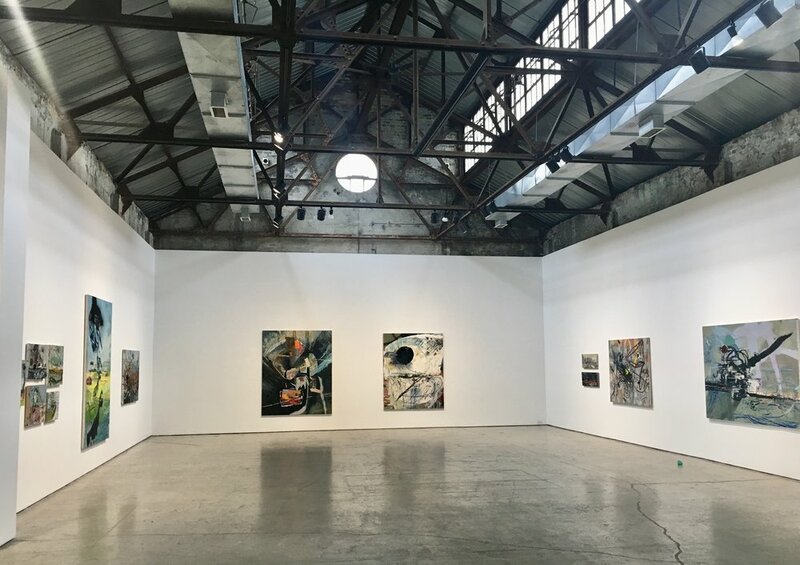 Incorporating the sights and sounds of Manhattan and the outer boroughs, the works interpret visual elements—such as river barges and scaffolding—as well as abstract ones, like weather and music. As a former New Yorker, this was definitely one of the most energizing shows I've seen in some time. 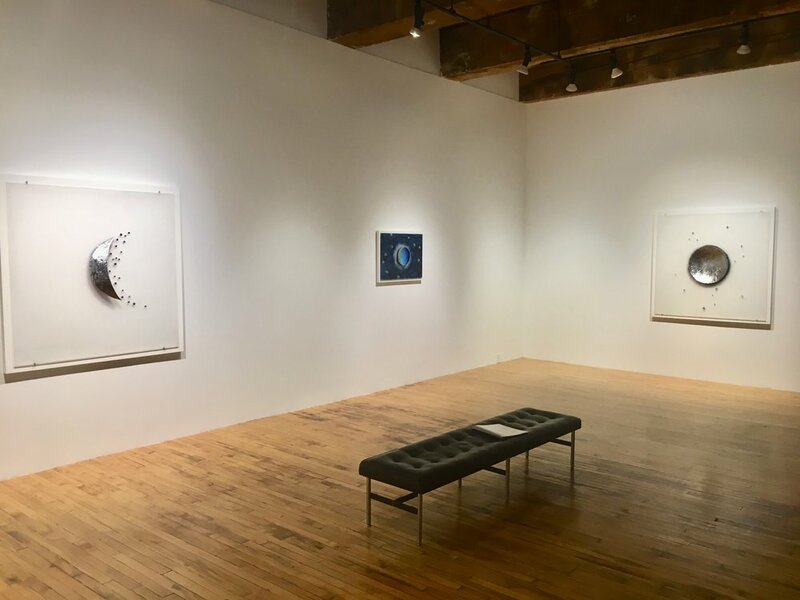 There is a naïve quality to the celestial wall works in Ed Zelenak’s latest show, one that belies the universal ideas considered therein. Using the circle as a jumping-off point to explore ideas of eternity, “completeness” and connectivity, Zelenak’s sculptures, hand-formed from copper, gouache, acrylic sheets and wooden panels, are at once complex and calming. Take a tour in Toronto to discover more!